Hurricane Insurance Checklist - Scarsdale Premier Insurance Agency | Advocate Brokerage Corp.
Prepping for hurricane season is more than just getting your prep kit together and making sure your family and home are safe when the storm hits. Before all of this happens, there’s one important detail we don’t want you to forget: your insurance. Here are a few pre-storm tips on what you should do insurance-wise to make sure that your home is properly protected. Determine if the deductible on your policy makes sense for your needs. An independent insurance broker can help you make this determination. Have you made any changes to your home? If you needed to renovate after Hurricane Sandy has this increased the value of your home? Make sure that you have enough coverage not only to cover the replacement costs for your home, but also to cover the cost of living somewhere else while your home is being repaired. Get flood insurance. Even though your home may not be in a flood prone area, Hurricane Sandy provided a valuable lesson that everyone should have flood insurance. 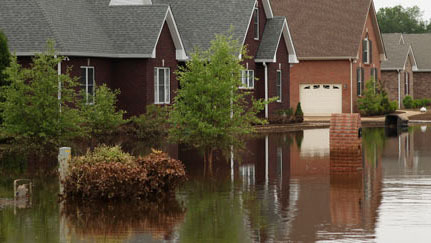 Your insurance agent can advise you about purchasing flood insurance, or visit FloodSmart.gov. Do an inventory of your home and take photos of all valuable items. Discuss with your insurance professional if there are items, such as jewelry, that require additional coverage. Make sure that you take this inventory with you if you need to vacate your home, or store it on Internet site such as iCloud or Dropbox that you can retrieve from anywhere. Advocate Tip: Do you work from home or own a small business? Make sure that your business is protected in the event of storm damage. Have all the documents pertaining to your business with you if you need to evacuate.